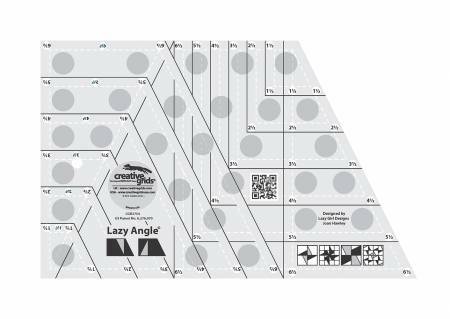 Make hundreds of Lazy Angle Blocks in 1 inch to6 inch finished sizes. Learn the simple technique of cutting and piecing A & B shapes to create a multitude of patterns. Designed by Joan Hawley.Features Embedded Gripper Dots. Made in the USA.